My upcoming trip to Iceland is starting to come together. I’m going for the solstice so that I can take pictures during the extended sunsets/sunrises. The sun only dips under the horizon at this time of year so it’s going to be light 24 hours a day. To take advantage of the golden hours I’m going to have to be shooting from about 10:00pm until 4:00am. My original plan was to stay up all night taking photos and sleeping during the day. I was trying to plot a route that would allow me to arrive at a new hotel every morning. The next step was going to be convincing hotels to let me stay for just the daytime. This got frustrating because, assuming I’d managed to book hotels, it was very difficult to make these jumps from hotel to hotel on the back roads I want to photograph and manage to make it all the way around the island in a week. 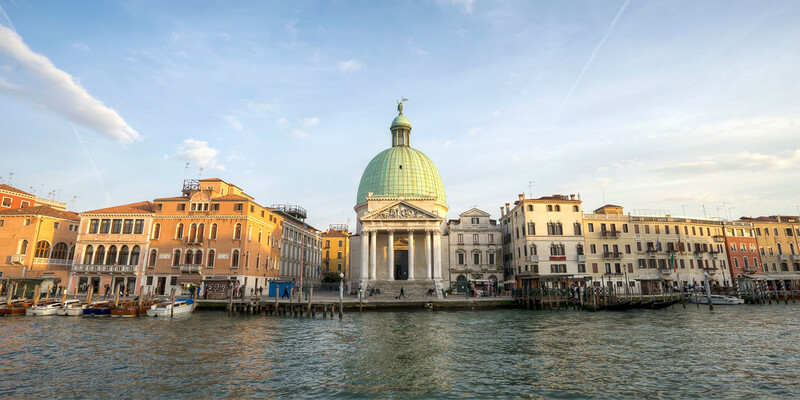 It also made it impossible to schedule in a few activities I’d like to do that take place during the day – snorkeling the rift, whale watching, and a somewhat odd museum. I’ve come up with the solution. I’ll be sleeping twice a day. So, I’ll drive from hotel to hotel in the middle of the day, sleep for the evenings and then head out all night for the best light. Then, I’ll go to sleep again from about 4am until about 5 minutes before the hotel forces me to check out. This route actually means that I can spend a couple of nights in two locations, allowing me to dedicate a day to whale watching as well as a day for snorkeling the rift. The only thing I need to fit in now to make me perfectly happy is a visit to the ice caves of Kverkfjöll. They’re in the interior so I’m not sure I want to drive there on my own. Apparently, there’s also a chance of cave-ins so a guide is pretty essential. Unfortunately, the only tours I’ve found so far last 12 hours! That’s not going to do the trick. 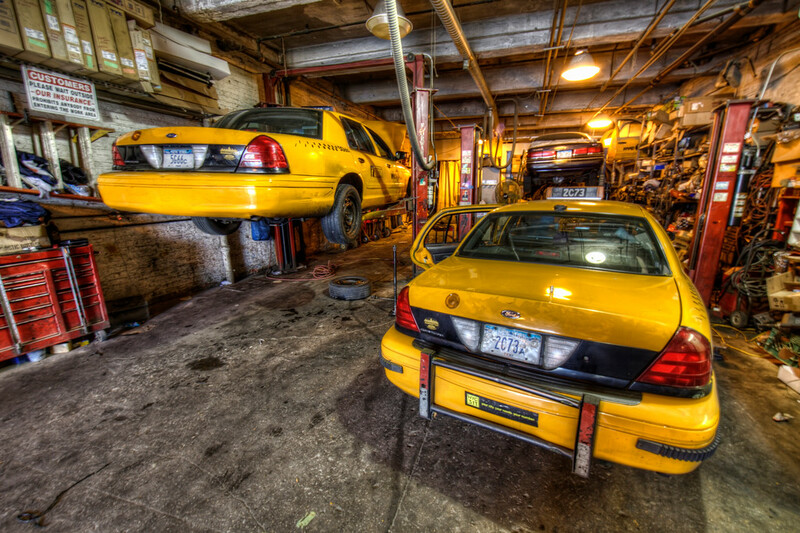 I found these taxi garages in New York really interesting. They were really long and narrow, this one particularly so. It must be a real pain getting cars in and out, having to empty the shop every time. I took this photo with a wide angle lens in order to emphasize the depth. As i mentioned in a prior post I didn’t have my tripod with me as checking in at the Yotel was proving complicated and I’d let them store my bag without removing my tripod. As a result, I had to shoot handheld so I had to use a smaller depth of field than I would have liked. This was contrasted with the naked cowgirl playing guitar across the street. I was hoping she’d come my way to fill the foreground of this shot, but the police apparently decided she was too naked for Times Square. Shame, she was hotter than the other naked cowgirls present. Then, the iconic New York cityscape gained the iconic New York vehicle for it’s foreground and I got the shot! 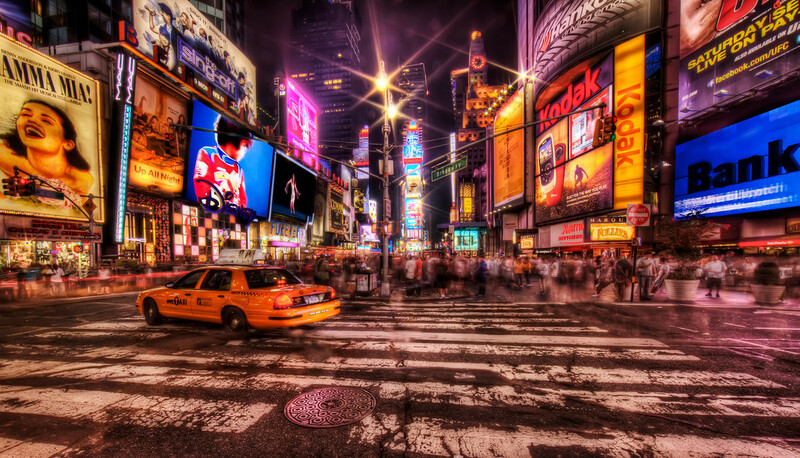 Finding a taxi in New York when you really, really need one can be pretty difficult. I stumbled onto a street where you’ve got a pretty good chance of finding one. But, it won’t be much use to you. 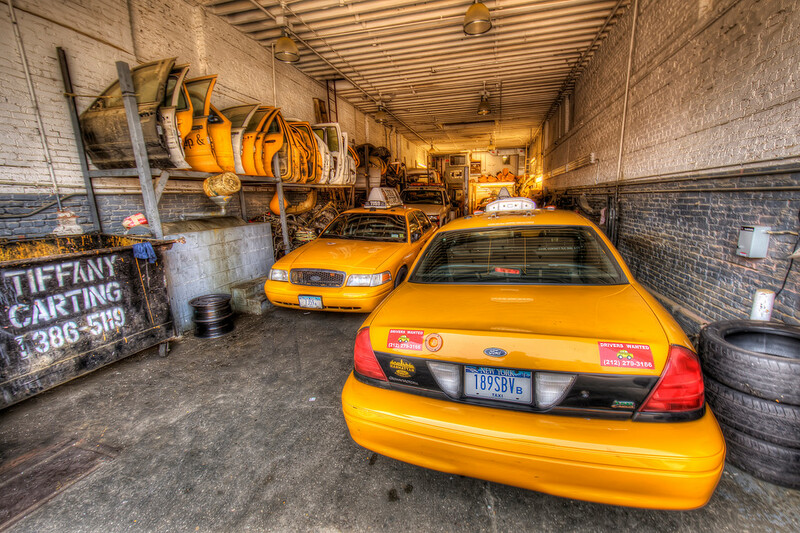 The whole street was lined by these really deep, but very narrow, garages, all of them working on yellow cabs. I wound up here as a result of my hotel selection. My decision to go to New York for the weekend was pretty last-minute and happened to fall on Labor Day weekend. The city was full, and hotels were expensive. Then, I discovered that a Yotel was opening in New York, just off Times Square, and was offering special low rates. If you’ve never heard of a Yotel it’s the brain child of the owner of the YO! sushi chain. The idea for the hotel is based on Virgin Airlines first class cabins. They provide small hotel rooms, with all the amenities of their more luxurious counterparts at a much lower price. It was actually pretty cool, once I got through check-in. The room is definitely small, but mine was on a corner with floor to ceiling windows and feels plenty spacious – at least for one person. It felt more like your reservation didn’t exist. So, I waited in the line of people trying to speak to the one staff member available. Once I got my turn, we went back to the machine and did exactly what I’d just done to get up the exact message I had just reported to him. I was then informed that my room is probably not ready yet and he offered to help me hand my bag to the robot arm that stacks them away in storage for you. I asked when my room would be ready and was told about 2 hours. So, I went exploring. I came across this street of mechanics, totally accidentally, and immediately decided I wanted a photo of his place. I then paced back and forth a few times trying to work up the nerve to ask permission to take the photo. Finally, I caught someone’s eye and asked. He looked at me like I was insane and then the manager came up. He also looked at me like a lunatic but said yeah go ahead. So I strolled in and started firing away. Unfortunately, I’d left my tripod in my bag. As a result I had to sacrifice a bit of depth of field for a faster shutter speed. I didn’t notice at the time, but the sign to the left actually said that customers had to wait outside because their insurance did not allow anyone to enter! Apparently, if you’re not a customer, this rule is relaxed. I continued wandering and returned 2 hours later. The exact same thing happened and I was informed that my room would probably be ready after 3:00. I was tired of walking by this point so I went to a movie. It was a bloody weird movie too, wish I could remember what it was called. Or, what it was about for that matter. On my third attempt to check-in all went as smoothly as it should and things improved from there. That being said, I can’t see myself staying in another Yotel in the near future. It’s probably worth it for an interesting experience, but it’s still actually quite expensive for what you get, even at the discounted rates.